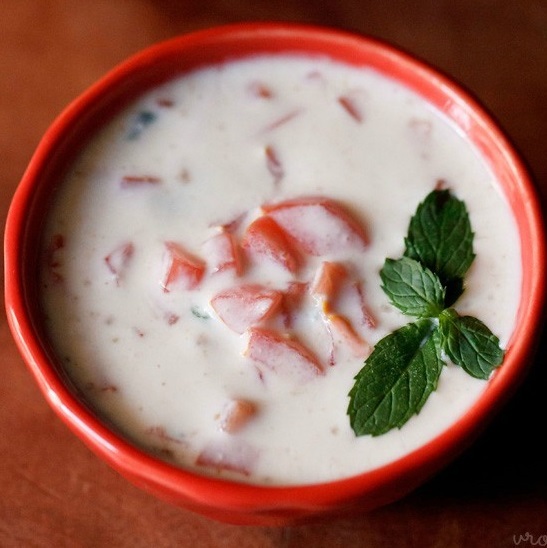 tomato raita recipe - quick raita with chopped tomatoes. 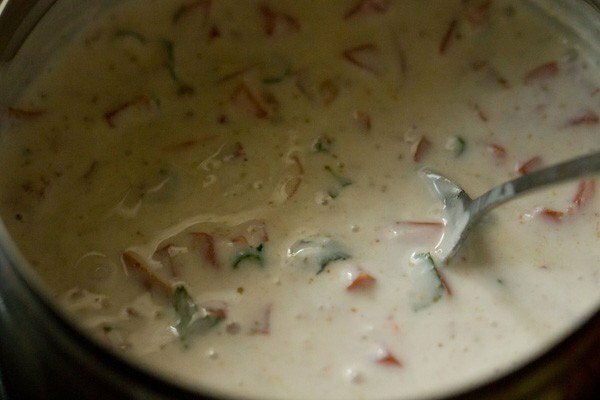 tomato raita recipe with step wise pics – quick raita recipe with tomatoes. 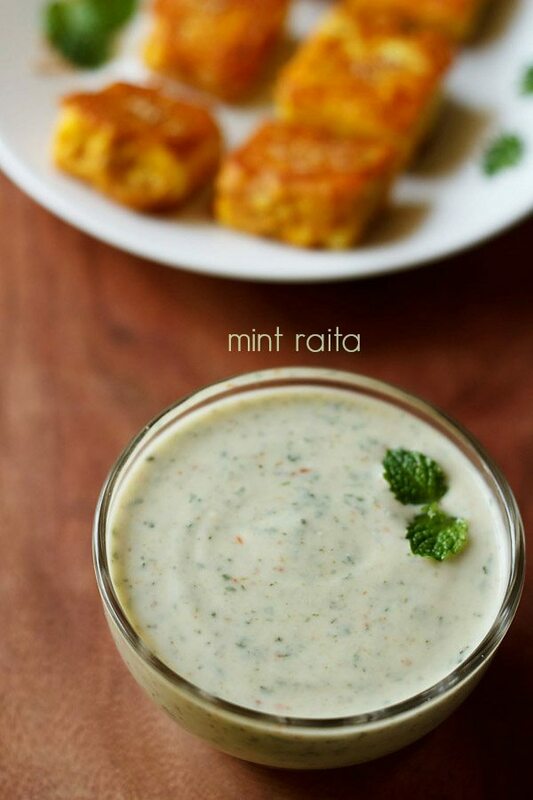 sharing a very easy tomato raita recipe. 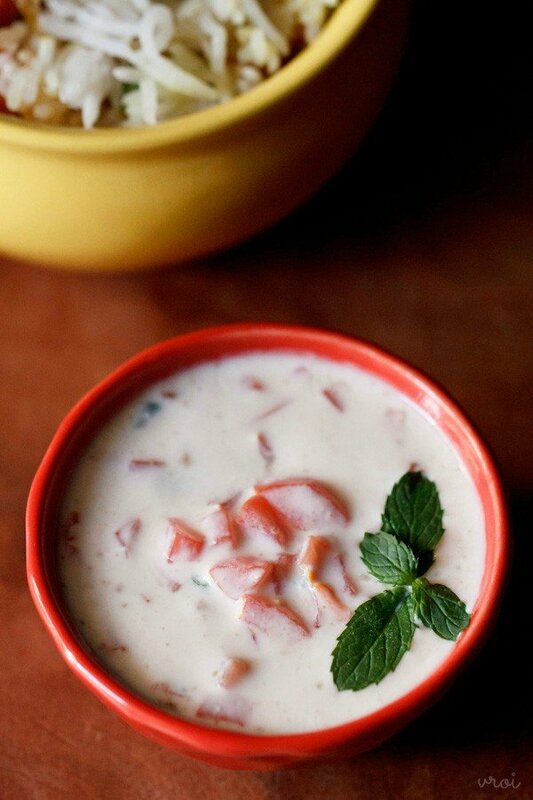 usually with pulao or biryani, i make onion tomato raita, but when out of onions & on fasting days i make this tomato raita. for a quicker option just add the chopped tomatoes to the curd. 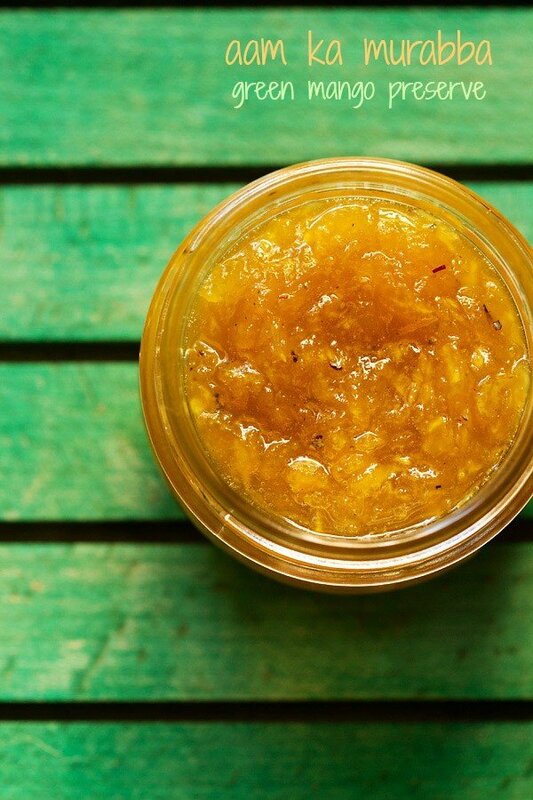 if you want a more pronounced taste and flavor of tomatoes, then puree one tomato and add along with the chopped tomatoes. use rock salt or sendha namak if making on the fasting days. 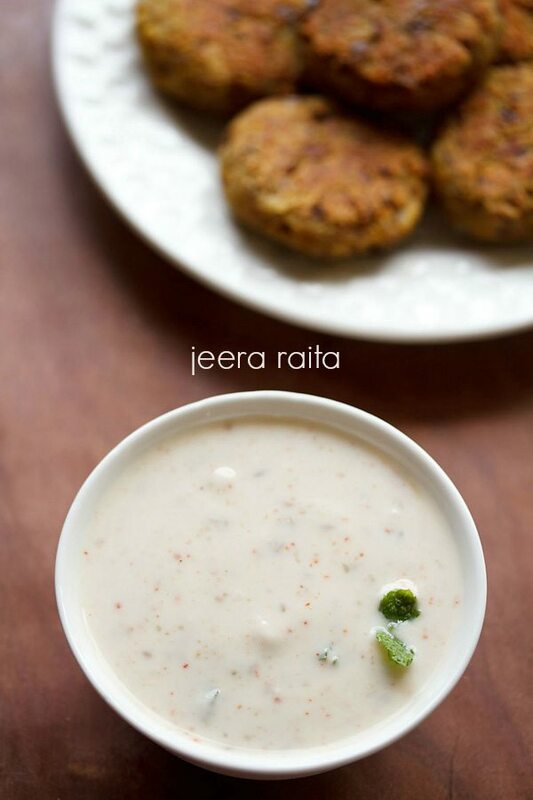 like any raita, this tomato raita also pairs very well with veg biryani or veg pulao. whisk the fresh chilled curd till smooth. add the finely chopped tomatoes, mint leaves or coriander leaves or a mix of both, chopped green chilies, roasted cumin powder. season with black salt as per taste. 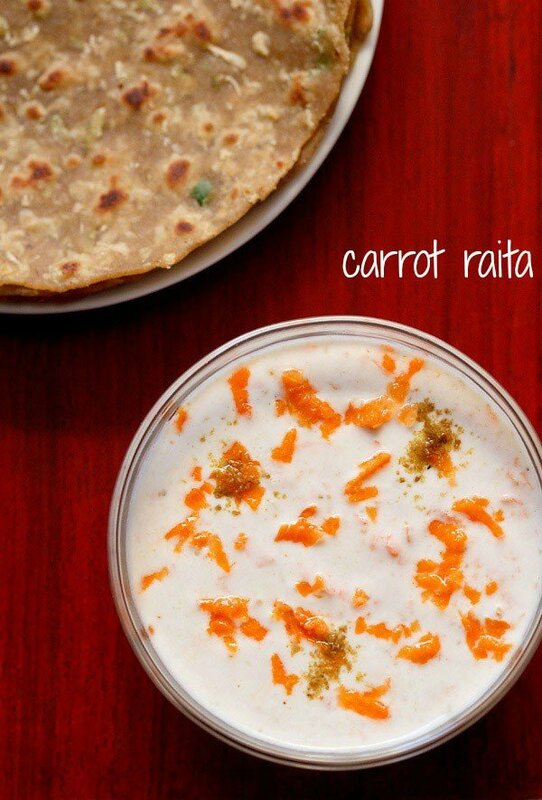 serve the tomato raita immediately as a side dish with veg biryani or veg pulao. 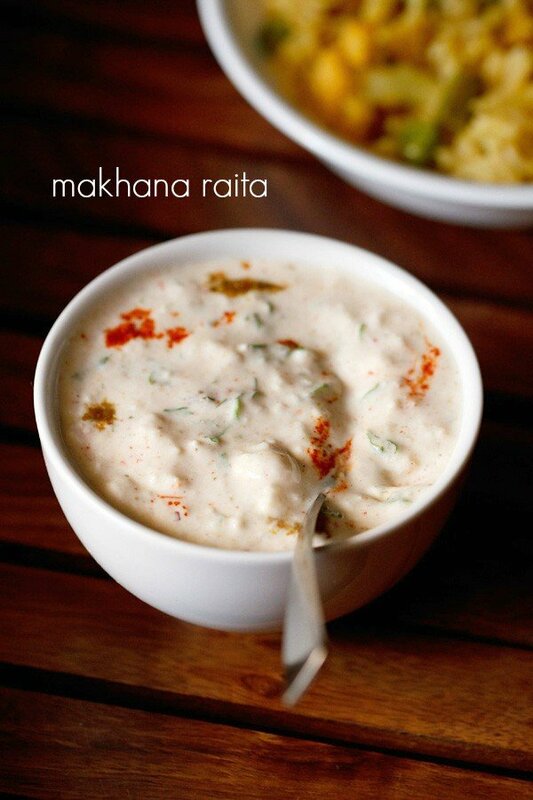 you can also serve this raita with any north indian meal. 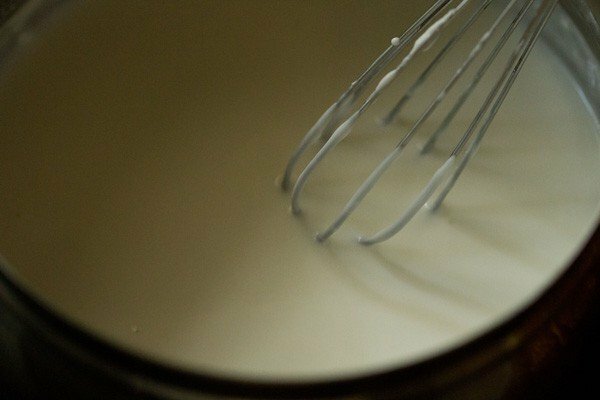 1. whisk 1 cup fresh chilled curd/dahi till smooth. 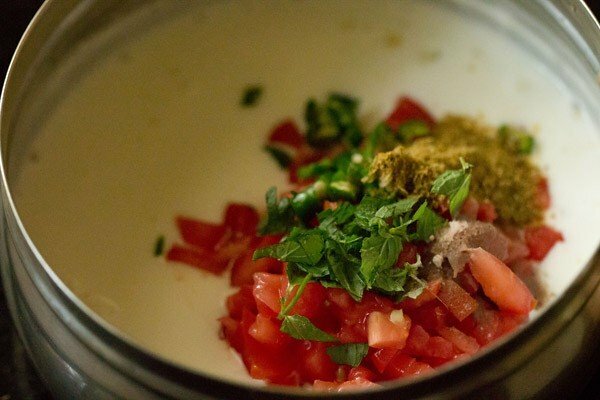 2. add ½ cup finely chopped tomatoes, ½ to 1 tbsp chopped mint leaves or coriander leaves or a mix of both, 1 green chili, finely chopped and ½ tsp roasted cumin powder. season with black salt as per taste. 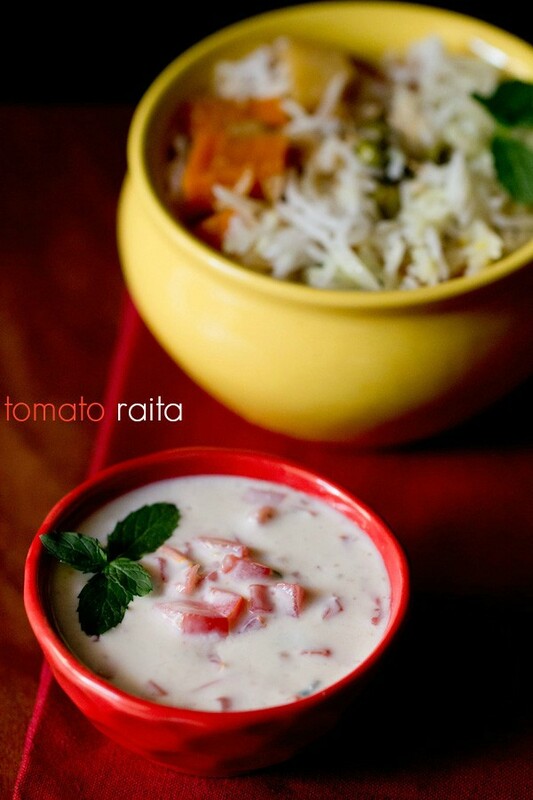 4. serve tomato raita immediately as a side dish with veg biryani or veg pulao or dal khichdi or mushroom biryani. 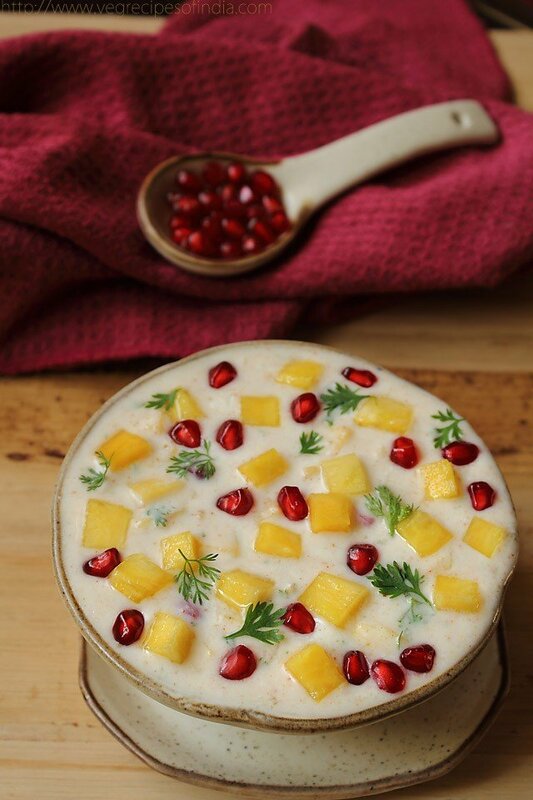 you can also serve this raita with any north indian meal. welcome simmi. glad to know this. i won’t be able to give measurement of frozen spinach as i have not used it. you have to use approximation. 2 tsp oil is added to the dough at the initial stage of kneading the dough.